One of the many car transport services that we provide is auction car shipping. Car auctions are popular among used car dealers. There are auctions that are open to the general public, but in some states, only an auto dealer can get a vehicle from an auction. However, most people can buy a vehicle from an online auction, such as eBay. 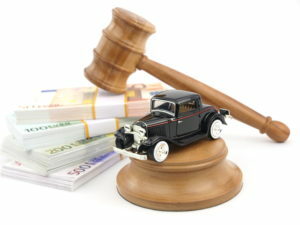 In both cases, purchasing a car from an auction often includes auto shipping. With this service, it is not a problem to buy a car from an out of state auction. You can even get it shipped it across the country, just like anything else that you buy online. And Baltimore Car Transport will be happy to help you with that! Baltimore Car Transport is always here to help you with any car shipping matters. Even though some auctions may offer car carriers they are working with, those are usually more expensive. Our company gets the best rates for our clients while retaining the high quality of our shipping services. No matter if you are a car dealer or simply a buyer, we will organize the shipping in a way that works best for you. We provide door-to-door car shipping as our standard method of Baltimore auto transport. This means that our car carrier will pick up your new vehicle at the auction and deliver it straight to your door. If you are a car dealer, we can also assist you with dealer car transport. With us, you can ship vehicles from an auction to your dealership and from your dealership to your customer. We guarantee full safety of our services and your total satisfaction! Get a free quote on Auction Car Shipping today online or over the phone. Baltimore Car Transport will be happy to ship for you!